The Department of Veterans Affairs (VA) is responsible for providing vital services to America’s veterans. VA provides health care services, benefits programs and access to national cemeteries to former military personnel and their dependants. The department carries out its duties through three main administrative divisions: Veterans Benefits Administration; Veterans Health Administration; and National Cemetery Administration. All three divisions have run into trouble while carrying out their missions, including controversies involving VA hospitals and longstanding delays in providing services. The federal government’s first attempts at dispensing benefits to soldiers came during the Revolutionary War. During another war, the War of 1812, the government established the first federal facility for veterans at the Naval Home in Philadelphia. This was followed by two more facilities in Washington, DC: the Soldiers’ Home in 1853 and St. Elizabeth’s Hospital in 1855. In the meantime, US officials established the first administrative unit dedicated to helping veterans: the Bureau of Pensions in 1833. During the 19th century, government officials expanded benefits and pensions not only for veterans, but also their spouses and dependents. By the end of the Mexican War in 1848, American veterans numbered in the hundreds of thousands. This number ballooned following the conclusion of the Civil War; there were approximately 1.9 million Union Army veterans on the federal rolls. Almost the same number existed in the Confederacy. However, Confederate veterans were not granted benefits by the federal government until 1958, for those still living. In his second inaugural address in 1865, President Abraham Lincoln called upon Congress “to care for him who shall have borne the battle and for his widow, and his orphan.” This was later adopted as the VA’s motto. Following the end of the Civil War, the number of disabled veterans was so great that Congress created the National Home for Disabled Volunteer Soldiers in 1873. This government organization established individual residences, called branches, which provided mostly room and board to former soldiers. These homes also gave incidental medical care to disabled and indigent veterans, regardless of whether their disabilities were service related. In the years that followed, national homes cared for veterans of the Mexican, Civil, Indian and Spanish-American wars and for non-combat veterans as well. By the late 1920s, the homes provided hospital-level medical care. The Civil War era also marked the period when the federal government first established national military cemeteries where veterans could be buried. Because of the war’s significant casualties (more than 600,000 deaths), Congress adopted legislation in 1862 for the Army to begin creating a national military cemetery system. Five years later, in 1867, the first National Cemetery Act was enacted by Congress which provided funding ($750,000) for the construction of national cemeteries and other facilities, such as superintendent lodges, perimeter walls, fencing and headstones. By the war’s end, thousands of Union soldiers were scattered around the country, which prompted Congress to create a reburial program that located the remains of almost 300,000 Union soldiers and officers and had them re-interred in national cemeteries. By 1870, the first period of expansion for the national cemetery system was complete, with 61 cemeteries established, including Alexandria National Cemetery (VA), Antietam National Cemetery (MD), Fort Leavenworth National Cemetery (KS), Philadelphia National Cemetery (PA) and Soldier’s Home National Cemetery (Washington, D.C.). World War I represented the next great influx of veterans onto federal rolls, with five million returning soldiers and 200,000 wounded. Congress authorized a new program for awarding veterans' benefits that included disability compensation and vocational rehabilitation, as well as insurance for active-duty personnel and veterans. The benefits were administered by the Veterans Bureau, the Bureau of Pensions of the Interior Department and the National Home for Disabled Volunteer Soldiers. In 1930 the functions of all three were folded into the newly created Veterans Administration (VA). From 1931 to 1941 the VA expanded the number of veterans’ hospitals from 64 to 91, which doubled the number of available hospital beds. It did so because demand for hospital care grew dramatically during the Depression, thanks in part to a rise in tuberculosis among veterans. Another contributing factor was an increase in neuro-psychiatric conditions among World War I veterans who complained of “shell shock,” the precursor to Post-Traumatic Stress Disorder of the Vietnam era and subsequent wars. After the end of World War II, the federal government implemented the GI Bill, a landmark piece of legislation that helped assist the return of millions of veterans back into society. Drafted by the American Legion, the GI Bill provided: money for tuition, books and living expenses for up to four years of college or vocational schools; low-interest mortgages to homeowners; farm and small business loans at low interest; twenty dollars a week allowance for returning vets looking for employment; and funding to establish veterans' hospitals and to provide vocational rehabilitation for disabled veterans. The GI Bill had a tremendous impact. More than one million veterans enrolled in college in 1946 alone. By 1956, over 10 million veterans had used the educational benefit. From 1944 to 1949, nearly 9 million veterans received close to $4 billion from the unemployment compensation program. The VA offered insured loans until 1962, and they totaled more than $50 billion. Subsequent legislation extended benefits under the GI Bill to veterans of the Korean and Vietnam wars, and the Readjustment Benefits Act of 1966 extended them to all who served in the armed forces even in peacetime. An updated GI Bill of Rights, called the Montgomery GI Bill, is now in effect. Veterans returning home from the Vietnam War endured a different set of obstacles from those of previous generations. Because of the war’s unpopularity, many veterans were treated with either indifference or disdain. Medical conditions stemming from exposure to chemicals used by US armed forces, such as Agent Orange, were challenged by the federal government, making it difficult for veterans to receive treatment. Veterans complaining of psychological problems, later termed Post Traumatic Stress Disorder (PTSD), were also ignored by VA officials. Homelessness became a serious problem for many Vietnam veterans unable to receive help or to cope with their conditions. During the past 20 years, the federal government has implemented two significant changes to the VA system. Following a prolonged lobbying effort by veterans’ organizations, President Ronald Reagan signed legislation in 1988 to elevate the VA to cabinet-level status and turn it into the Department of Veterans Affairs. As reorganized, the department included three main elements: the Veterans Health Services and Research Administration, which was renamed the Veterans Health Administration; the Veterans Benefits Administration; and the National Cemetery System (NCS), later renamed the National Cemetery Administration. The Army continued to run the cemetery system until Congress adopted the National Cemeteries Act of 1973, which transferred the system to the Veteran’s Administration, which created the Department of Memorial Affairs. Two cemeteries remained under the authority of the Army: Arlington National Cemetery (VA) and Soldiers’ Home National Cemetery. During the administration of President Bill Clinton, a bill was passed that officially changed the NCS to the National Cemetery Administration. The same legislation extended the right of burial in a national cemetery to merchant marines, adding to the inclusion of soldiers, sailors, marines, airmen, National Guardsmen, reservists and ROTC of the armed services, as well as immediate family members of veterans. The Clinton administration also altered the VA’s delivery of health care to veterans. In 1996, the Veterans Health Care Eligibility Reform Act reorganized the system using the HMO model, focusing it from a “hospital system to a health care system.” The bill also opened up VA health care to all veterans, not just those with service-related illnesses or injuries. Twenty-two Veterans Integrated Service Networks (VISNs) were established geographically around the country to meet all of the health care needs of veterans. While VA hospitals continued to serve an important role in the new system, community-based outpatient clinics grew considerably in size, from fewer than 200 in 1996 to 850 in 2004. Several studies produced this decade have lauded improvements in veterans’ health care. From the New England Journal of Medicine to the Annals of Internal Medicine, the VHA system was congratulated for improvements in several key areas of patient care. These successes were attributed not only to the 1996 Congressional mandate, but also to Kenneth Kizer, who served as Under Secretary for Health at VHA during the 1990s and was responsible for spearheading changes in VA’s medical bureaucracy. The Department of Veterans Affairs (VA) provides the millions of American veterans and their dependents with health care services, benefits programs and access to national cemeteries. VA employs more than 250,000 people at hundreds of medical centers, nursing homes, benefits offices and national cemeteries throughout the country. 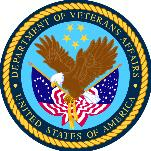 The department carries out its duties through three main administrative divisions: Veterans Benefits Administration; Veterans Health Administration; and National Cemetery Administration. Veterans Benefits Administration: VBA provides a range of services to former members of the US armed forces and their families. These services include education and vocational rehabilitation benefits, pensions, home loans and life insurance. VBA operates 57 regional offices and utilizes nine service delivery networks to provide all of its services to veterans and their families. Providing pensions and disability compensation to veterans represents one of the largest tasks of the VBA. More than 2.7 million veterans each year receive either monthly pension checks or disability payments. Disability compensation is paid to veterans with service-connected disabilities, meaning the disability was a result of disease or injury incurred or aggravated in the line of duty during active service. Veterans with non-service-related disabilities may be eligible for VA pension programs if the veteran served during wartime but became permanently and totally disabled outside of military duty. Pensions may also be paid to the survivors of wartime veterans. In 2001, the VBA paid $22 billion in disability compensation, survivor benefits and disability pensions to 3.2 million people. The largest education benefit dispensed by the VBA is through the Montgomery GI Bill (MGIB), which provides up to 36 months of funding for veterans to study at colleges, technical or vocational schools. The GI Bill also supports apprenticeships and job training. Participants can receive in excess of $36,000 in tuition. Veterans from the reserve have different eligibility requirements and different rules for receiving benefits. MGIB may also be used by members of the military while still on active duty. MGIB benefits may be used up to 10 years from the date of last discharge or release from active duty. The 10-year period can be extended if the veteran was prevented or delayed due to disability or because they were held by a foreign government or power. Spouses and children of veterans can also receive education benefits through the Dependents’ Educational Assistance program, which offers up to 45 months of education assistance. Vocational rehab and counseling provides services and assistance necessary to enable veterans with service-related disabilities to gain and keep employment. In the event a veteran's disability prohibits suitable employment, the program offers help so the veteran can achieve independence in living. Program services can include evaluation of rehabilitation needs, employment services, medical and dental care, financial counseling and education or training to develop marketable job skills. Veterans pursuing education or training may also receive a subsistence allowance. In some cases, the VR&E program provides educational and vocational counseling for eligible service members and veterans who don’t have disabilities and their dependents. VBA’s housing program provides veterans with loans to purchase homes, primarily in cases where private financing is not available. These cases generally involve rural areas, small cities and towns. Veterans may borrow up to 100% of the sales price or reasonable value of the home, whichever is less. If a veteran needs to refinance, they may borrow up to 90% of the home’s value, where allowed by state laws. VBA also offers life insurance to service members and veterans who may not be able to get insurance from private companies because of the extra risks involved in military service, or because of a service-related disability. Veterans Health Administration: VHA is responsible for providing a wide range of medical services to 5.5 million veterans across the US. VHA operates a network of health care facilities that includes 171 medical centers, 340 outpatient clinics, 127 nursing home care units and 196 Vietnam Veterans Outreach Centers. In addition, VHA helps support veterans’ health care in non-VA hospitals and is the country’s largest provider of graduate medical education. Medical and health programs run by the VHA include Agent Orange research, rehabilitation services for blind veterans, care for women veterans, assistance to homeless vets, care for veterans suffering from multiple traumas and research into war-related injuries. National Cemetery Administration: NCA maintains national cemeteries across the United States for the burial of veterans and their family members. NCA also maintains 33 soldier’s lots and monument sites, marks veterans’ graves with a government-furnished headstone or marker, provides Presidential Memorial Certificates in recognition of veterans’ service and administers grants for establishing or expanding state veterans cemeteries. NCA currently maintains more than 2.8 million gravesites at 125 national cemeteries in 39 states and Puerto Rico. The cemeteries occupy more than 17,000 acres, and just over half of that acreage is undeveloped, allowing for growth to reach in excess of four million gravesites. USAspending.gov, an information resource provided by the federal government, has reported that from 2000 to 2008, the Department of Veterans Affairs spent $61.2 billion on goods and services from private contractors. The lion’s share of the money that was paid to the VA’s 109,436 contractors went for medicines ($22.4 billion), medical and surgical supplies and equipment ($4.9 billion), hospitals maintenance ($1.8 billion), hospitals supplies ($1.7 billion) and nursing home services ($1.5 billion). EDS, a leading information technology company founded by Texas entrepreneur and former president candidate Ross Perot, has signed several contracts with VHA to help run its computer systems. The latest contract was part of the VA’s eight-company, $1 billion effort to purchase support for the department’s Veterans Health Information Systems Technology and Architecture. Another IT giant, Unisys Corp., has held VA contracts to improve patient management, billing and collections capabilities for the VHA. In 2003, the company signed a $139 million deal to provide systems integration and consulting services for Flowcast, a commercial, off-the-shelf software from IDX Systems Corp. Flowcast helps with patient access management, patient financials, document imaging and business intelligence. VHA also contracts with architecture and engineering firms when it comes time to build new medical facilities. In September 2007, VHA announced that a three-party venture to design the replacement VA hospital for New Orleans. The three companies are NBBJ of Columbus, Ohio, Eskew+Dumez+Ripple of New Orleans and Rozas-Ward Architects, also of New Orleans. Post-Traumatic Stress Disorder, a growing mental health disorder among combat veterans, should be avoided as a diagnosis, argued one VA senior psychologist in May 2008. The effort to reduce the number of PTSD cases provoked criticism from veterans groups and was repudiated by VA’s top leadership. Norma Perez, who helped lead the PTSD program at the Olin E. Teague Veterans’ Center in Temple, TX, told staff members to refrain from diagnosing the disorder because too many veterans were seeking government disability payments for the condition. “Given that we are having more and more compensation-seeking veterans, I'd like to suggest that you refrain from giving a diagnosis of PTSD straight out,” Perez wrote in an email to mental-health specialists and social workers. Instead, Perez recommended staff use “Adjustment Disorder,” which generally does not produce disability payments, although veterans can receive medical treatment for the condition. In contrast, veterans diagnosed with PTSD can be eligible for disability compensation of up to $2,527 a month. Veterans Affairs Secretary James B. Peake said in a statement that Perez’s email was “inappropriate” and did not reflect VA policy. It has been “repudiated at the highest level of our health care organization,” he said. Shortly after the Perez email controversy, the Department of Defense released statistics showing that the number of troops diagnosed with post-traumatic stress disorder jumped by roughly 50% in 2007, the most recorded since the invasions of Iraq and Afghanistan. It was the first time the Pentagon had disclosed a number for PTSD cases from the two wars. Officials said nearly 40,000 troops have been diagnosed with the illness since 2003, although it was believed many more were likely keeping their illness a secret. Army Surgeon General Eric Schoomaker said military officials have been encouraging troops to get help through private civilian therapists - resulting in even fewer reported cases since the military doesn’t track diagnoses by non-military personnel. In January 2008, the issue of veterans’ benefits became a focal point thanks to a last-minute political decision by President George W. Bush. During the State of the Union address, the President called on Congress to allow US troops to transfer their unused education benefits to family members. A week later, however, when Bush submitted his $3.1 trillion federal budget to Congress, he included no funding for the plan, which could cost up to $2 billion annually according to budget analysts. Under the current GI Bill, service members are eligible for nearly $40,000 in education benefits, such as college tuition or employment training, after they complete three years of active duty. Almost 70% of active-duty troops and veterans use at least part of these benefits, which cover three-quarters of the cost of tuition, room, board and fees in a four-year state university. VA officials concede that the cost would probably soar if most families make full use of the benefits. According to a report issued by the National Alliance to End Homelessness, although only 11% of the civilian adult U.S. population are veterans, vets make up 26% of homeless Americans. In Washington, D.C., the nation’s capitol, 7.5% of veterans experienced homelessness at some point during 2006. After decades of sharing data about cancer cases among veterans, VA officials stopped releasing such information to states. The decision has resulted in skewed results not only for military medical records but for tracking of cancer trends across the country, said some civilian medical officials. The move by the VA has prompted conspiracy theories among veterans advocates wondering what the department is trying to hide. In response, one VA official accused critics of trying to “strong arm” the department into violating patient privacy. Although the VHA has made considerable progress since the mid-1990s to improve its delivery of health care services to veterans, problems continue to plague the department and its facilities. In January 2008, the Chicago Tribune reported that poor medical care at the Marion VA Medical Center left nine patients dead and 34 others seriously injured during a two-year period, according to an investigation by the VA’s Inspector General. Ten of the 34 injured patients later died, but investigators were unable to link the deaths to the care provided at the medical facility. The report also detailed a long list of serious problems at the hospital, including a surgical program “in disarray” and “fragmented and inconsistent” administrative oversight. The failures at Marion prompted VHA to review not only the medical credentials of doctors at the Illinois facility but also those of 17,000 other health care providers across the country. The Inspector General’s office also found problems at numerous VA facilities in a report released in September 2006. Problems ranging from poor sanitation procedures to failures in maintaining pharmacy drug controls were cited. The investigation found that nearly 100 local VA clinics provided virtually no mental health care in 2005 and that care among those facilities that did was inconsistent. In some places, veterans received individual psychotherapy sessions, while others met mostly for group therapy. Some veterans were cared for by psychiatrists while others saw only social workers. The same investigation also discovered that VHA was not providing enough resources to help veterans coping with Post-Traumatic Stress Disorder. Since 2004 a debate has ensued over whether the Department of Veterans Affairs must facilitate voter registration drives at VA hospitals and homes that house US veterans. The issue arose when a Democratic official walked onto a VA facility in Menlo Park, California, to register veterans to vote for the presidential election that year. The Democrat was turned away by VA officials claiming it was the department’s policy to bar partisan political activity. Democratic lawyer Scott Rafferty later claimed the same facility allowed Republicans to register 42 voters among veterans. In response to the VA’s action, Rafferty filed a lawsuit contending the VA was acting in violation of the National Voter Registration Act of 1993, known as the Motor Voter Law, which allows federal agencies to double as voter registration sites. The lawsuit was tossed out by a district court after a judge found Rafferty had failed to prove that any veteran was actually prevented from voting. That decision is being appealed. Meanwhile, in April 2008, VA leaders in Washington issued a policy stating its officials should allow voter registration drives at VA hospitals and homes. But then ten days later, the department reversed itself with another policy. Also, California became the first state to ask the VA to take up the responsibility of distributing registration materials, assist applicants in filling them out and then have them sent to the state. Proponents, primarily leaders at the VA, argue their priority is to provide healthcare services and other benefits to veterans at their facilities. They insist that if local VA staffers have to help veterans register to vote, it could divert important resources away from other important activities designed to assist veterans deal with their day-to-day living. VA leaders also have argued that voter registration drives are often partisan-driven and therefore have no place at VA hospitals and homes. Opponents, including Project Vote and Democratic US Senators John Kerry and Diane Feinstein, argue the VA is not complying with federal law in an effort to deny Democrats a chance to register new supporters. Many of those living in nursing homes or homeless shelters are typically low-income voters who favor Democrats, it is claimed. The VA’s actions are violating the constitutional rights of many veterans who are disabled and rely on the VA to help them with such tasks as voting, opponents contend. Dissatisfied with the VA’s continuous backlog of cases, Congressman John Hall (D-NY) is preparing legislation to substantially alter how VA officials process claims. Hall, chairman of the House Veterans’ Affairs Disability Assistance and Memorial Affairs Subcommittee, will submit his plan through the Veterans Disability Claims Modernization Act of 2008. Currently, there is a backlog of approximately 650,000 disability claims, according to Hall. VA officials expect that number to grow to one million additional compensation and pension claims by the end of 2008. The average time it takes for VA to process a claim is 183 days, an increase from 177 days in 2006. These delays have caused serious financial, emotional and functional impacts on the lives of disabled veterans and their families. Hall wants VA to modernize its system by implementing new technology and moving away from intensive, paper-based claims processing. The department also needs to readjust its schedule for rating disabilities. Another reform involves the Department of Defense (DoD) - creating a single disability evaluation examination process whereby DoD would determine fitness for duty and then VA rates level of severity. Hall also wants to establish an annual tracking requirement for the US Court of Appeals for Veterans Claims. In October 1999, the Veterans Health Administration initiated a modernization program for its blood bank system. VA officials decided to upgrade the system in order to decrease the risk of errors and improve the safety of blood transfusions through the use of current technology, such as barcode scanning. Review sufficient information before granting a waiver from independent verification and validation requirements. Monitor and control project costs. A native of Iowa, James Nicholson served as Secretary of Veterans Affairs from February 2005 to October 2007. Nicholson graduated in 1961 from the US Military Academy at West Point. He served eight years on active duty as a paratrooper and Army officer, then 22 years in the Army Reserve, retiring with the rank of colonel. While serving in Vietnam, he earned the Bronze Star Medal, Combat Infantryman Badge, the Meritorious Service Medal, Republic of Vietnam Cross of Gallantry and two Air Medals. Nicholson earned a master’s degree from Columbia University in New York and a law degree from the University of Denver. He practiced law in Denver, specializing in real estate, municipal finance and zoning law. In 1978 he founded Nicholson Enterprises, Inc., a developer of planned residential communities, and in 1987 he bought Renaissance Homes, a builder of custom homes. In January 1986, Nicholson was elected committeeman from Colorado for the Republican National Committee (RNC). In 1993, he was elected vice-chairman of the RNC, and in January 1997, he was elected chairman of the RNC, where he served for four years, through the elections of 2000. In 2001, Nicholson was appointed US Ambassador to the Holy See. i need assistance in My work in canada who is not allwing me to continue support due to my dd4214 document. Good day to all, I hope we can get some red tape moving. In 2004 I had a heart attack and five weeks later I broke my right foot. The VA didn't want to operate. I rebroke that foot six times since and been carried off on an ambulance 6 times after being pronounced dead on arrival twice because the doctors at the VA didn't listen to the doctors at the county hospital. That is just the latest episodes of my experience with the VA Hospitals. Fourteen years of plain negligence. I have been to a neurologist that wants me to have surgery on my neck and back. I need to see a specialist. In lucky though because I can use the 40 mile program for a private doctor even if it does take a year to get things done. Just recently I had a triple hernia operation for instance because I could not get the VA to operate. They should have taken care of all this fourteen years ago, it would not have cost so much back then. Has the VA Health Admin compared costs for the following; Having their Healthcare Clinics within local hometown hospitals. VA could share the costs of equipment, office supplies, medical supplies and medicine. The savings could be tremendous. I want to know how the VA can deny me service due to the min duty requirment . I dont remember signing any form when i enlisted informing me of said requirement . I now have a honorable dd214 that will be usefull if i ever run out of toilet paper . I am proud i served this country for the american people as for the govt they can kiss my backside. My husband served 30 years, 4 war tours, crashed twice and the VA wants me to prove it when the National Archive says the information is with the VA. My husband hung himself 10 hours before his VA evaluation and the same year he'd had 2 knee replacements and was waiting for his back to be fused. He couldn't get workman's comp due to previous injuries in the USMC although he was awarded SSDI the month before he passed. A man who screams and fights in his sleep, who drinks because of the pain(pain referral came a month after he passed) The system is broken and good Doctors are leaving in mass Excodus. These hero's are being thrown away like garbage. I've been fighting this battle with the VA for a few years now. I retired in 1997 with 22 years service. In January 1997, I went to the VA in Nashville, TN to take my VA retirement Physical. I was told I had High Blood Pre4ssure and the VA started me on Blood pressure medication. To this day, I still take Blood pressure Meds and the VA tells me there was nothing in my records saying my pressure was high so they turned down my claim for Hypertension. They tell me it was not service related. I asked this question but they tap dance all around the answer. I asked if I retired in February 1997 and went to the VA in January 1997 for my physical, was I not still in the service when I was diagnosed by the VA with High Blood pressure?